A woman of many headwraps, Tambra Raye Stevenson is a Washington, DC-based food activist. 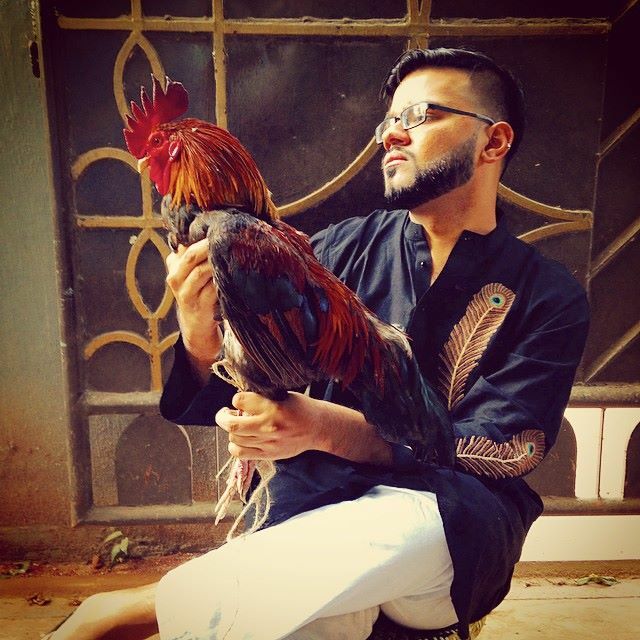 The two words—food and activist–may not seem to bond but sharing time with Tambra leads you to understand their connection. Tambra’s inner activism is an amalgam of her life’s purpose, social consciousness, and spirituality, with a defining meditative question: “Who am I?” After losing her father, who shared her love of food and family history, she was at a spiritual crossroads that led to much soul searching. Finding her Fulani roots became part of this search, which eventually lead her to Nigeria. Once in Africa, she saw the interplay of gender, commerce, food, and health in some of the world’s most distressed, yet vibrant societies. In a world where every other Instagram photo is of food, many people find it hard to believe that millions of people will be affected by diet related health issues. Yet we don’t have to go far to find malnutrition in our nation’s capital. From her travels Tambra finds many commonalties between the Anacostia region of Washington, DC and the Nigerian capital city of Abuja in their efforts to overcome the ongoing “urban nutrition” challenges from lack of nutrition education to local food economic development and to consumption of highly refined foods. Understanding these shared dynamics of food and nutrition justice is key to solving many larger dynamic societal issues that has become Tambra’s mission. As a first-generation college graduate of Oklahoma University and Tufts University, Tambra sought an education as her passport to freedom and healing, satisfying her scientific curiosity and socially conscious mind. As a food anthropologist she began with a simple question: “Can my ancestral foods heal my family from diet related diseases?” Her inquisitive nature turned her into a “food hunter”, seeking to know what the African diaspora ate and how that was affecting their health and wellbeing. This led her to pursue a career as a nutritionist. On her healing journey, Tambra has explored the root causes of the high rates of diabetes, heart disease, and hypertension among African, Caribbean and Latino communities. While many socioeconomic factors (such as income gender, equality, and education) contribute to this alarming trend, changes in diet, food traditions, and the fact that many ancestral foods were stripped from daily eating habits must also be considered. From researching her own ancestral food roots, Tambra became fascinated in studying the complex interactions between microbiome (gut flora), genetic ancestry, and one’s physical and social environment to overall health. Tambra’s view of activism is very refreshing. To her, it is the essence of being, of living, and most importantly, of loving. While in Boston for her studies, she learned about “social entrepreneurship” after attending the Harvard Social Enterprise Conference. 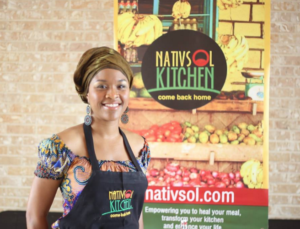 For her it was life changing to learn about how to apply business skills to make a societal impact especially around food, gender equality and health. “Even though I’m not a fighter, I’m a lover. What should I fight for that I love?” she recalls asking herself. Tambra chose to fight for food. 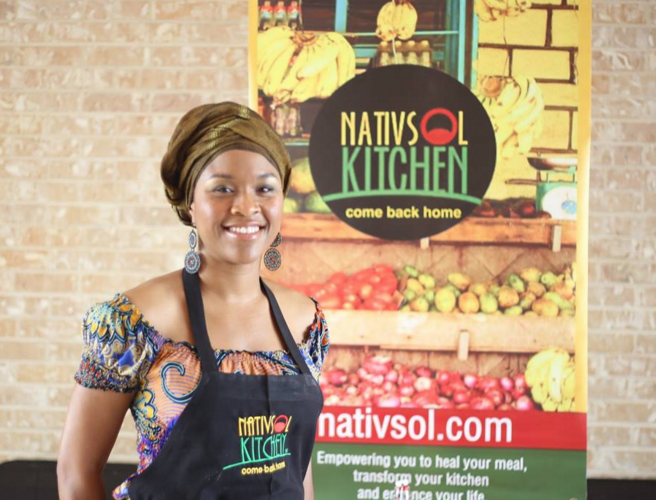 Through her NativSol Kitchen, Tambra shares the culinary flavors and healing food traditions to the community with their ancestry through classes, pop up experiences, and demos. 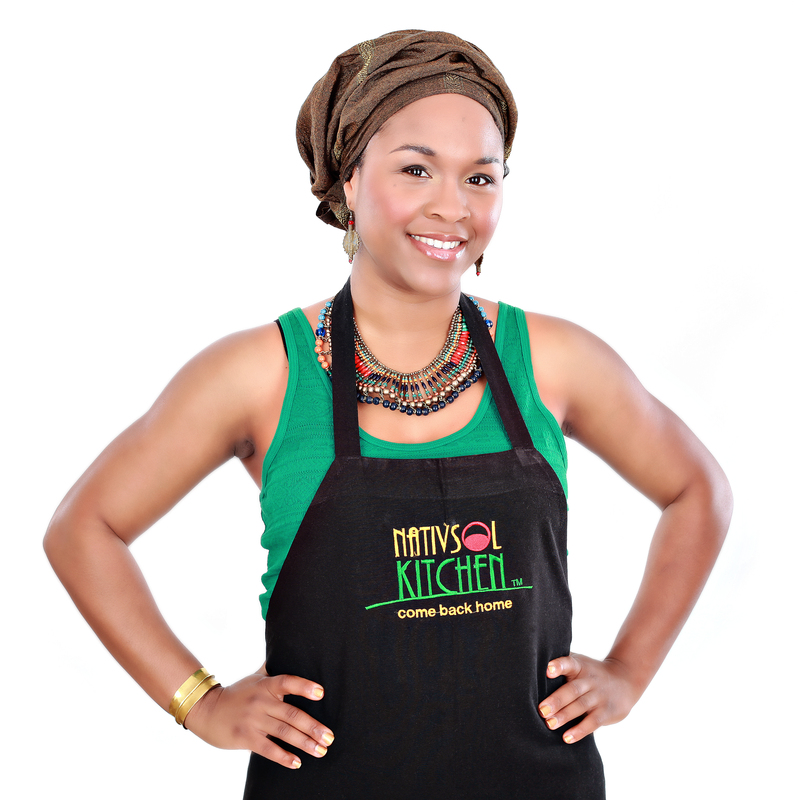 As a cultural storyteller and culinary curator, Tambra endeavors to serve and educate people about historical African diet products and recipes. After her own sojourn to Nigeria, she founded Women Advancing Nutrition, Dietics, and Agriculture (WANDA). Through the #IamWANDA initiative, she is educating, advocating and innovating healthier food systems in that region by supporting and spotlighting women and girls behind the food in Africa and Dispora. Recently NAACP recognized Tambra with its prestigous Dr. William Montague Cobb Award for advocating for health equity and food justice. 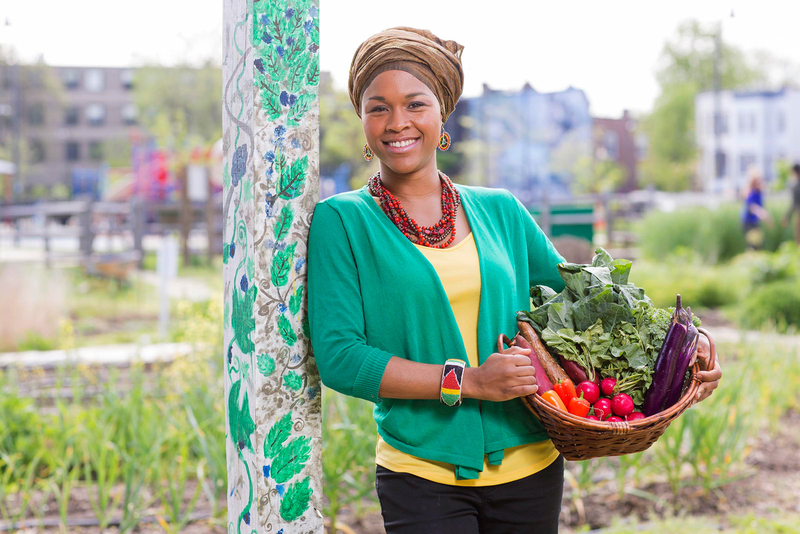 Through her continued efforts, Tambra has become a influential advocate for communities of color through her “cultural foods as medicine” philosophy. Her published children’s bilingual book series & empowerment program “Where’s Wanda?” inspires African & Diasporan children to become healthy eaters, readers and leaders in their communities. 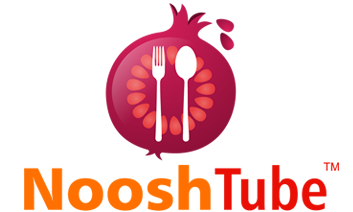 Over time, more people like Tambra will arise to address these food challenges. It’s only when we view food from all optics and perspectives that we truly understand that age-old axiom: “we are what we eat”.